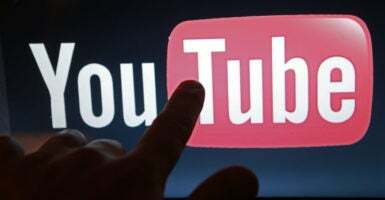 A report by The Daily Caller said that YouTube, which is owned by Google, is using the Southern Poverty Law Center, a left-wing activist nonprofit that bills itself as an objective civil rights organization, to assist in policing content on its video-sharing website. In 2016, YouTube was accused of censoring PragerU videos, and more recently, Google was lambasted for creating a seemingly partisan “fact-checker” function for its search engine that almost exclusively targeted right-leaning media outlets. “The left-wing nonprofit [SPLC]—which has more recently come under fire for labeling legitimate conservative organizations as ‘hate groups’—is one of the more than 100 nongovernment organizations … and government agencies in YouTube’s ‘Trusted Flaggers’ program,” according to The Daily Caller. The Daily Signal asked Google if and why it has collaborated with the Southern Poverty Law Center, but it did not respond as of the time of publishing this article. But the group has been very loose about how it defines hate, and often recklessly lumps mainstream conservative organizations in with Nazis and other extremist groups. Even Politico has warned that the Southern Poverty Law Center may now be overstepping its bounds by increasingly casting a wider net as its politics drift further to the left. The report listed a number of organizations it considers male supremacy “hate groups,” which included American Enterprise Institute scholar Christina Hoff Sommers. Sommers has questioned modern feminist orthodoxy, including the factual basis behind the alleged gender wage gap. “They’re blacklisting in place of engaging with arguments. They blacklist you, rather than try to refute you,” Sommers said. This is far from the first time mainstream conservatives or libertarians have found themselves on a Southern Poverty Law Center hate list. Being included on the list has led to dangerous consequences for some, as the list also sometimes gives their location. 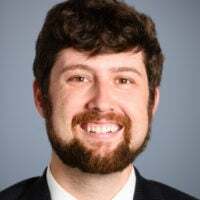 Casey Mattox, a former senior counsel with Alliance Defending Freedom, a legal defense organization that supports social conservative values, wrote about how a gunman targeted the office he was working in because it shared space with the Family Research Council. The gunman, who was convicted for domestic terrorism, said he targeted the Family Research Council—a mainstream social conservative organization—because it was on the Southern Poverty Law Center’s hate list for opposing gay marriage. “Both the Southern Poverty Law Center and the media who copy and paste its ‘hate group’ list might want to consider whether they want to inspire another [gunman] to commit an act of violence,” Mattox said. Criticism over the Southern Poverty Law Center’s bias and transparently left-wing bent has led some groups to stop citing their information. GuideStar, an aggregator of tax data on charities, dropped its use of the Southern Poverty Law Center after receiving backlash from conservatives. This is even more concerning given that some now propose government regulation of “fake news.” What if the government were to adopt the Southern Poverty Law Center’s standards for who counts as “hateful”? The widely divergent standards of “hate” that exist should make us wary of schemes to inject the government into free public discourse. Yet it is also important for Americans to turn a critical eye toward powerful tech and media outlets that sometimes stealthily inject their values into what are seen as “neutral” platforms. YouTube’s partnership with the Southern Poverty Law Center is part of a worrying trend in the high-tech industry to tip the political scales away from conservatives. It is often said that eternal vigilance is the price of liberty. To preserve liberty in the fast-paced, highly-connected internet age, it is imperative to be skeptical of the tools we rely on to communicate, which can easily be manipulated for political ends.